My name is Maria and I am 19 years old. Before 5 days on Friday 19 December 2014 it was normal day like many others. 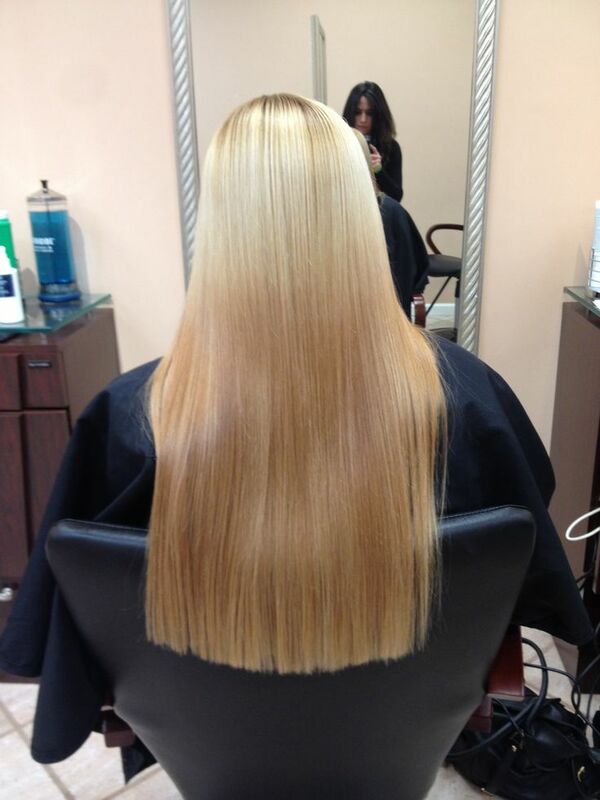 In the morning i woke up… then i brushed my super long thick blonde hair ( lenght around 75 cm) and i started thinking about that today I would visit my haidresser for a trim but i dont make an appointment, so after school i went to visit one other hairdresser. So I went to try a new hairdresser and it was absolutely terrible. I walked in, there was only one female stylist and 1 chair. The hairdresser was around 50 years old a she has short hair. Then a stern voice of hairdresser told me: ,, Hello young lady, you can sit down to the chair.´´ Then she asked me : ,,So how short do you want to go?´´ I told her : ,, You can cut off split ends and trim hair that are already beginning to curl at the end, It is around 5 – 10 cm from the entire length.´´ She nodded, then she covered me with a large cape and began to combing my hair and started talking to me : ,,You have a wonderfully long and thick hair but now they need to be shortened. ,, Well, my darling, but your hair are already have a terribly long and such a long hair already today do not wear and personally I do not like super long hair, they really need to shortened more than 10 cm, but do not worry I know exactly how much I have to cut off.´´ My eyes got wet and when I saw how my wonderfuly long hair are clippering off. She was working slowly because my hair was very thick and she had weak clippers because every time when she put a clippers to my long hair she had to wait few seconds until clippers cut off some part of my hair. The clippers tore through my hair, and the sheared locks slid down the large cape, resting in my lap above the cape or on the salon floor. 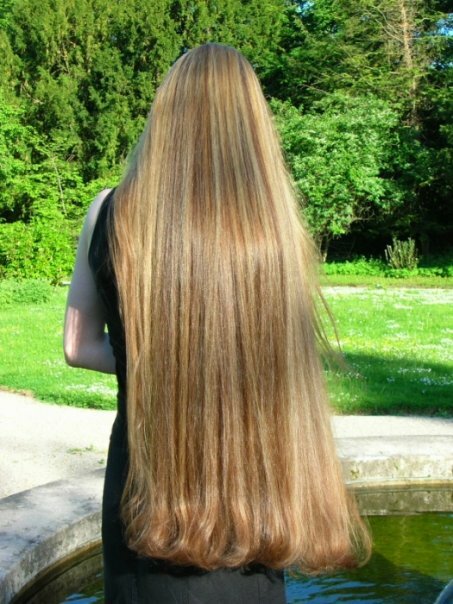 Suddenly then her phone started ringing so she turn off clippers and she start making call and I looked to the mirror that how shortened is it and it looked like in the horror, right side was shortened to about half of my back and the other left section of hair was still wonderful long hair around 75 cm. A floor under me was covered with my long blonde locks. When she end a call she saw my wet eyes and told me: ,, It is not very short, she smiled and said that it looks great.´´ Then she began to cleaning her clippers from my hair and put on the clippers a long blade. Then, the remaining parts of the hair took to her hand and she turn on clippers and saw me, so my long hair rise up so I can see all lenght and then she put a clippers to the rest of my beautiful long hair with a big smile … I saw that from my beautiful long hair is visible only a long blade and i feel how clippers cut my hair, and in a few seconds, rest of my super long thick hair began to fall to the floor … then she told: ,, You had so thick hair that a clippers had a problem getting through them and cut it,´´ and then she smiled …. she then said: ,, You have to bent your head down because i need cut all your hair to same length. After 2 minutes later she said, done Young sweetie …. it will be € 10. I pay for it and i quickly went out from hair salon, and looked my hair, and i saw that she in a few minutes clippered around 45 cm of my long hair. My hair now have one lenght to half of my back. An above the ears haircut would be so nice on that head of long blond hair.